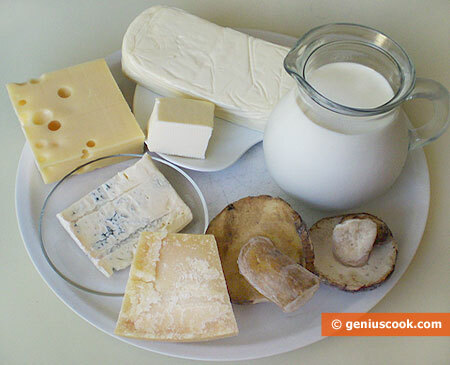 You can use various fillings for champignons. 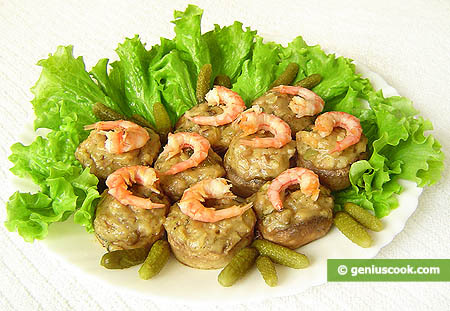 Here is our recipe for champignons stuffed with thick shrimp sauce, olives and cornichons. Exclusively creamy taste is enhanced by saffron and basil sautéed with garlic. Mushrooms are very healthy. Champignons contain potassium that improves blood circulation and metabolism. They are also rich in vitamin B2 essential for our nervous system. What’s more, with 14 kcal per 100g, champignons are great for those watching their weight. 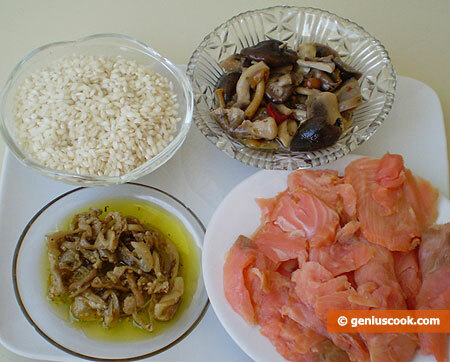 At the same time, these mushrooms are great source of proteins similar to those contained in meat. Wash mushrooms. Cut off stems and trim off some flesh under the caps. Chop stems and this flesh finely. Also shred garlic, saffron and basil. Chop olives and cornichons finely. Boil shrimp for 1-2 minutes to make it easier to peel them. 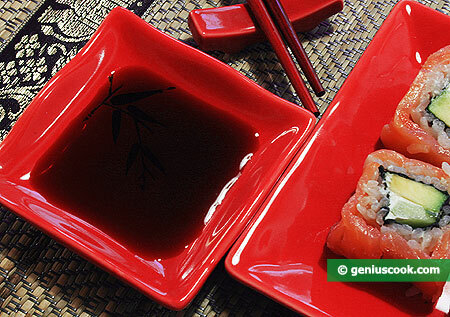 Save shrimp water for sauce. Chop some shrimp (about a half you have) very finely and leave the other half whole. Now preheat a frying pan and put 2 tablespoonfuls of flour into it. Heat the flour until creamy color, stirring constantly. Add butter, shredded garlic, saffron and basil. Cook over low heat for 2 minutes, stirring regularly. 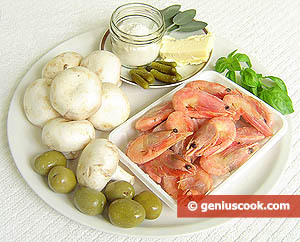 Put chopped olives, cornichons, shrimp and mushroom stems. Fry for about 2 minutes and add 3-4 tablespoonfuls of shrimp water. Stir the sauce regularly until thick for about 2 minutes. 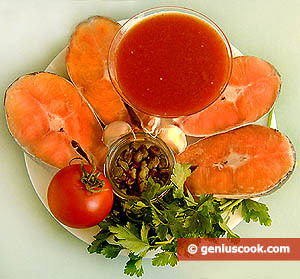 If the sauce is too thick, add more water and salt to taste. The sauce should get creamy in texture. Now fill the mushroom caps with the sauce. 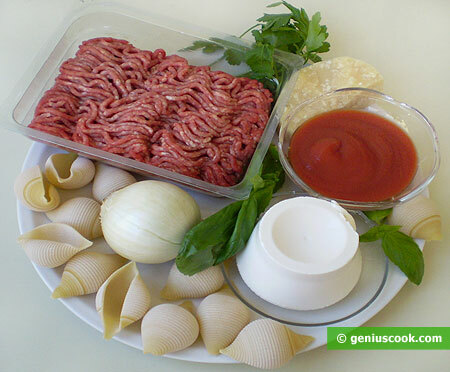 Arrange the caps into the frying pan smeared with olive or vegetable oil. Cover and cook stuffed champignons over very low heat for 10 minutes. Top each stuffed mushroom with a whole shrimp.